M-Audio has announced two new products that will have a major impact on keyboard players everywhere: the Accent Digital Piano and the Accent Module for MIDI controllers. 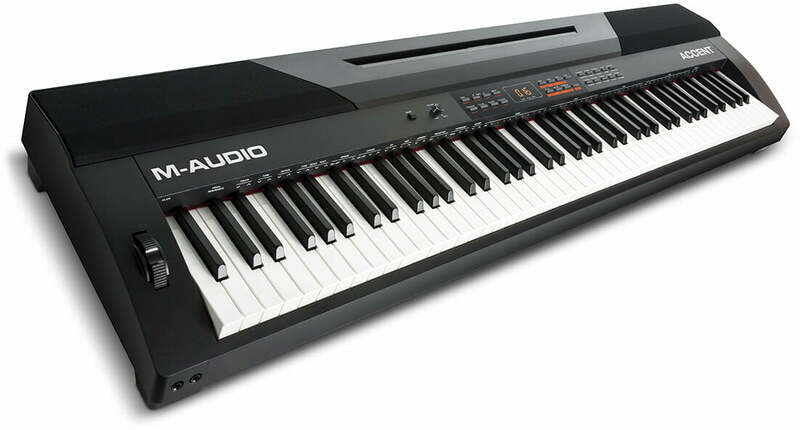 Recognizing a need for an affordable 88-key digital piano that has the professional features, versatility, natural playing response and rich sound to meet any requirement, M-Audio has met the challenge head-on with their all-new Accent Digital Piano. Easy to transport and set up, the Accent is ideal for piano students, stage and studio use, schools, theaters, and houses of worship. It has 20 built-in piano voices (such as Grand Piano, Electric Piano, Drawbar Organ, etc.) and the versatility to split or layer three voices simultaneously. Also included are the superb Steinway piano samples from AIR Music Technology. With 50 piano accompaniment styles to choose from (such as Slow Rock, Vienna Waltz, Jazz Pub, etc. ), players can select the perfect style for any solo performance situation. Professional XLR outputs ensure a noise-free connection with the highest possible audio quality. Accent connects to any computer via the USB-MIDI port for full 88-key control of virtual instrument software or plugins. For quality and value, Accent has it all: Professional XLR connectors, great sound including AIR Steinway samples, full-size 88-key hammer-action keyboard and control over virtual instruments. Authentic hammer-action weighted 88-key keybed. Professional XLR outputs for top quality audio and lowest possible noise. 20 built-in voices, can split or layer two voices simultaneously. Top-quality AIR Music Technology Steinway piano samples included. 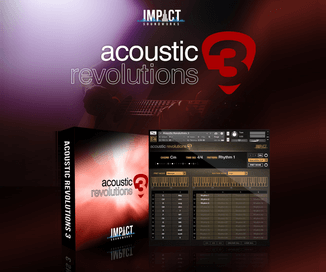 Play along with 60 preset songs or record your own with the User Record mode. Duet mode with 50 accompaniment patterns. Lesson mode divides the keyboard into two areas with the same pitch and voice. 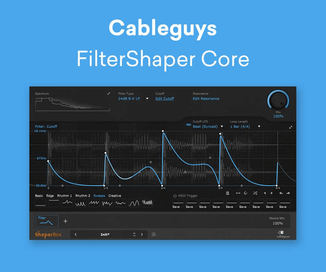 Built-in DSP with adjustable EQ, Reverb, and Chorus FX. USB-MIDI and MIDI DIN output. Aux ¼” output; (2) ¼” headphone outputs. Stereo 1/4” Aux input for playing along with external equipment. Optional Accent keyboard stand available. When players want to convert their standalone MIDI controller into a stage piano, free from the restrictive encumbrance of a laptop computer, the M-Audio Accent Module is the perfect solution. This compact unit easily connects to any USB or 5-pin MIDI controller. With 20 built-in voices, it has the ability to split or layer up to three voices simultaneously, plus it includes the superb, world-renowned AIR Steinway Piano and AIR Structure VSTs. USB MIDI hosting—when connected via USB, it powers and communicates with controller. Connect any USB MIDI or 5-Pin MIDI controller to create music without the need for a laptop. 20 built-in voices, with the ability to split or layer two voices simultaneously. Includes AIR Steinway Piano and AIR Structure samples. ¼” Headphone output for silent practicing. (2) ¼” TRS line-level outputs for connecting to any professional PA system or recording setup. The Accent Digital Piano and Accent Module will be available in Q1 2016, priced at $549 USD and $249 USD respectively.